KLCY-AM - Montanavision Media Inc.
KLCY started out as a daytime-only station, licensed as KYSS-AM. 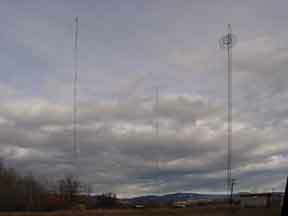 The KLCY transmitter building is located in a rural neighborhood along the Clark Fork River. 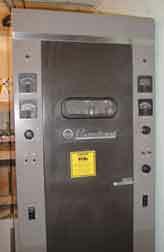 The Gates BC5H was about 30 years old when it was retired from service in July, 2003. The RCA BC-1T is even older, but a faithful backup transmitter. 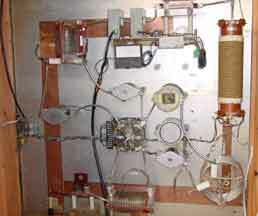 The phasor was manufactured by CSP, and installed by Tom McGinley. 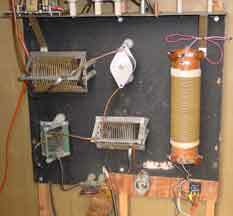 KLCY operates with 5 kiloWatts, non-directional days, and 1 kiloWatt, directional at night. The tower on the right supports the STL receiving antenna. 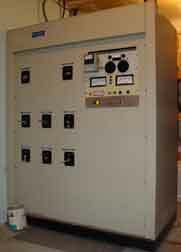 Antenna tuning unit at Tower 1. 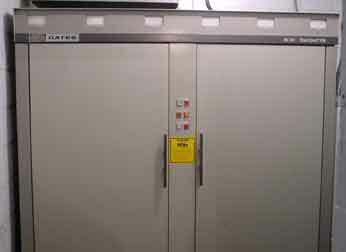 Antenna tuning unit at Tower 2. Antenna tuning unit at Tower 3. 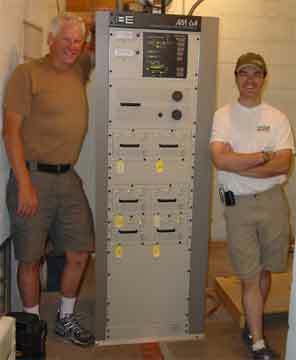 Jim and local engineer, Todd Clark, installed the new BE AM-6A transmitter in July, 2003. 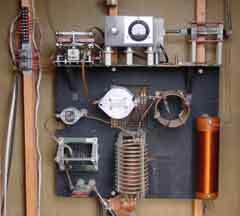 The following links are for the transmitter sites.